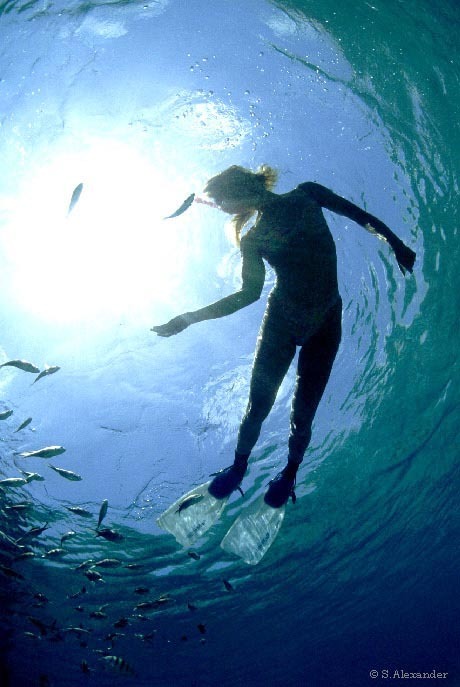 A snorkel diver feeds the fish in the crystal clear Caribbean waters of Bonaire in the Netherlands Antilles. 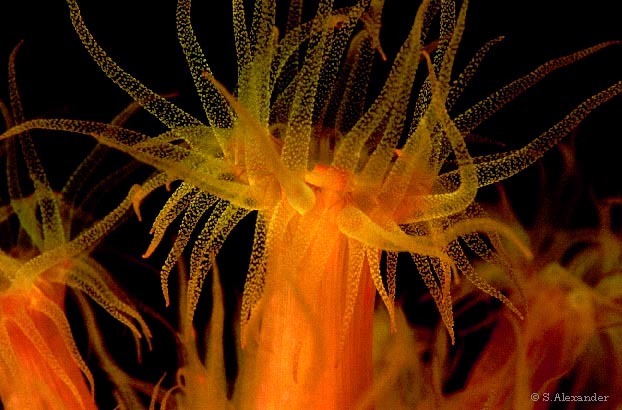 Orange soft coral polyps filter food and capture minute prey from the water. The delicate tentacles are covered with stinging cells. 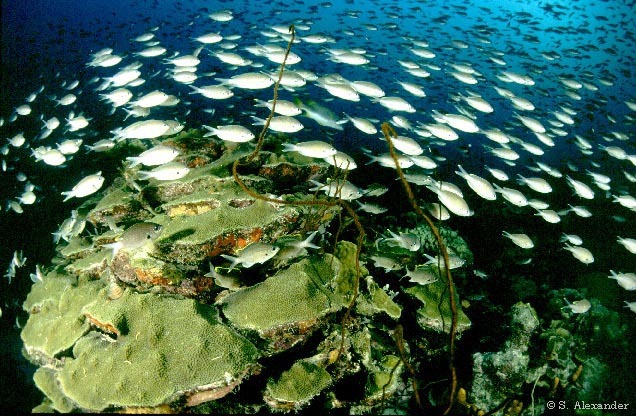 A school of Brown Chromis swarm over a coral head in synchrony. 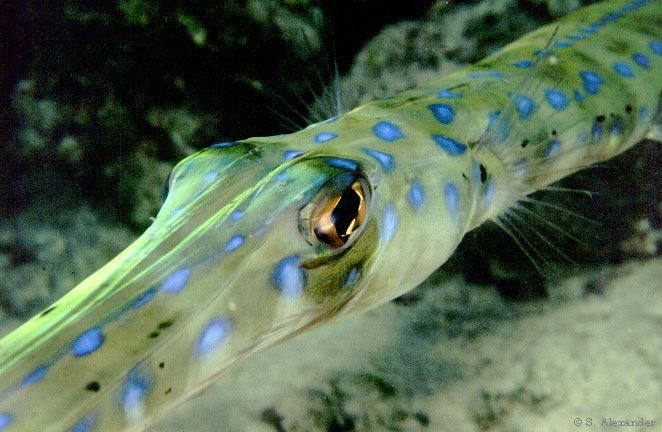 A rare Coronet fish glides gently in pursuit of prey in the Caribbean night. 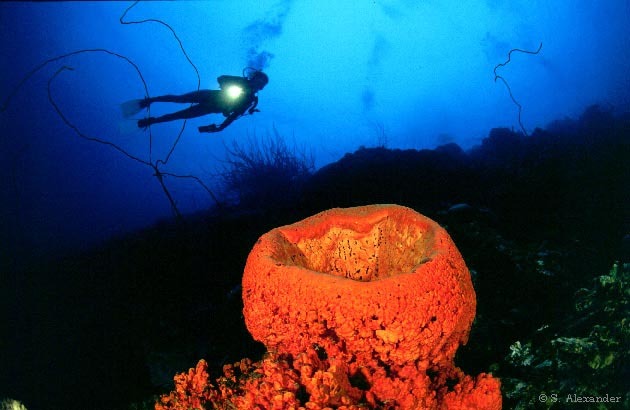 Exploring a deep wall, a diver finds a huge orange vase sponge. The azure waters conceal the incredible diversity beneath the surface. 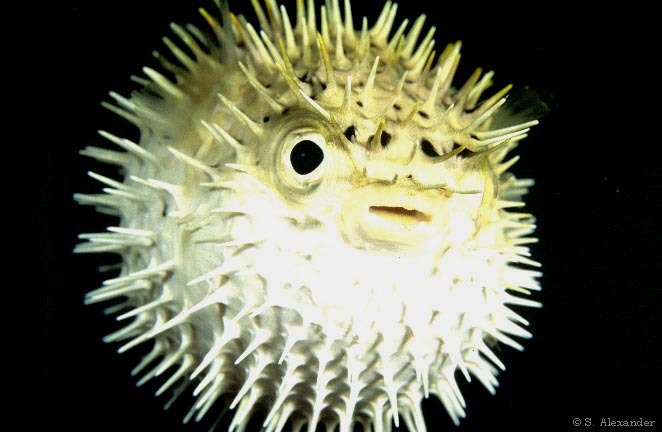 In self defense, the puffer fish inflates to an inedible ball when alarmed. 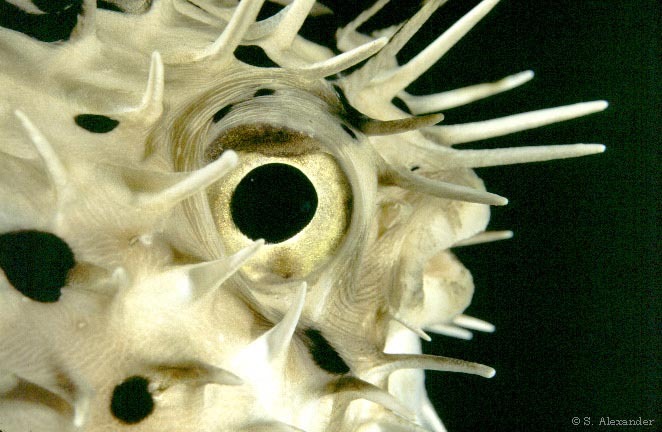 The puffer fish is considered a delicacy in Japan. Each year many people die from the toxic liver and skin of poorly prepared dishes.